When it comes to maker podcasts there can never be too many, and we always welcome new players to fill our weekly listening lineup. 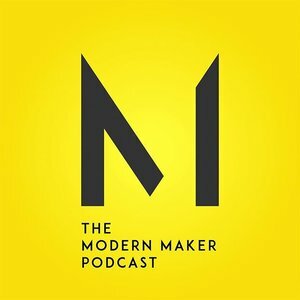 A new group on the scene with 3 episodes (as of this writing) under their Internet belt is The Modern Maker Podcast. The Modern Maker Podcast is a weekly podcast about making things by hand. From wood, to concrete, to leather, our hosts Ben Uyeda, Chris Salomone, and Mike Montgomery chat about what it’s like to be a “Maker” it’s current state. So far we like what we have heard, great group of diverse makers offering their spin on the maker scene with a very well produced podcast. We will be making them part of our weekly listening and suggest you give them a listen as well. Good info. Lucky me I found your website by chance (stumbleupon). I have bookmarked it for later!